Enough is heard and written about the illicit drug epidemic globally, and regular stories surface of celebrity drug abuse and overdosing. Yet, there’s another form of drug abuse that’s equally dangerous – prescription drug abuse. These could be prescription opioids (painkillers), or barbiturates and benzodiazepines used for depression, or even amphetamines used as stimulants. In the US, an estimated 54 million people have misused prescription drugs in their lifetime. By not disposing off prescription medicines correctly, you could be aiding this epidemic! 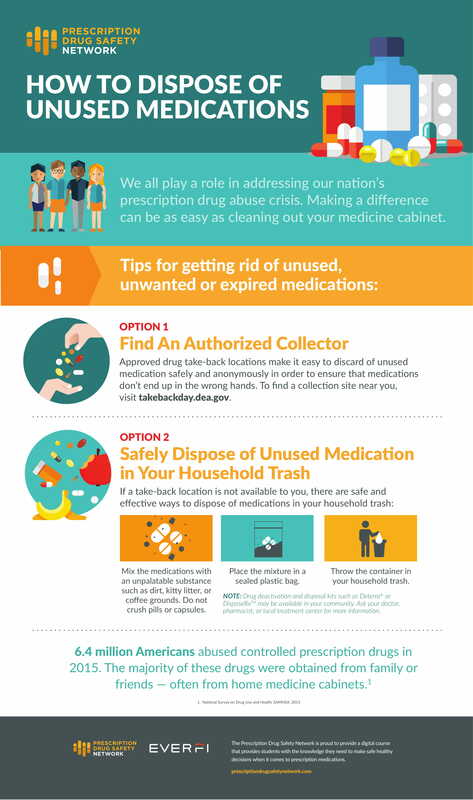 Don’t just chuck unused medicines in the trash bin – this infographic shows safe disposal methods.